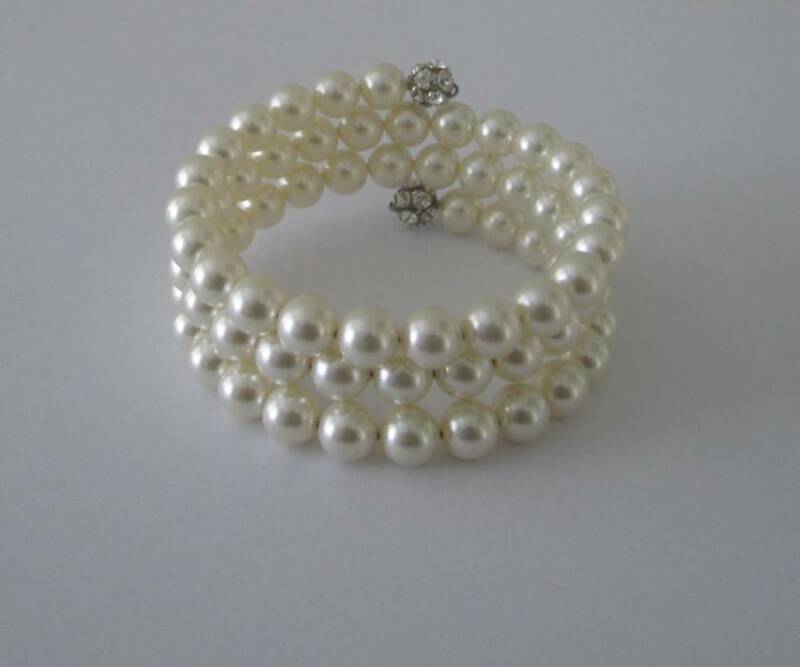 Elegant multi pearl bracelet. 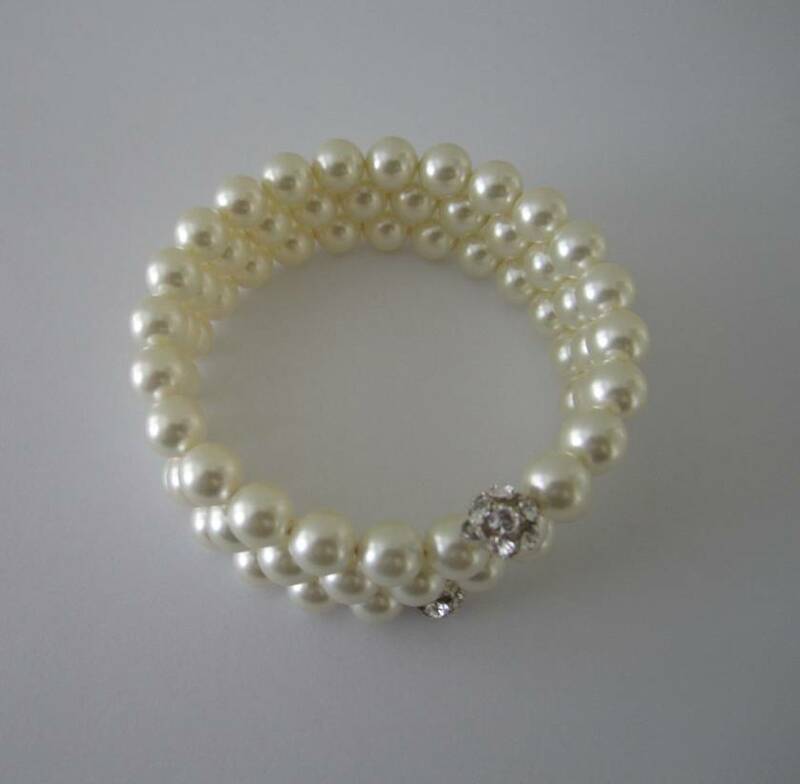 Bracelet features cream Swarovski pearls and is enhanced with Swarovski clear crystal balls. Crystal balls are encased in a rhodium plate. 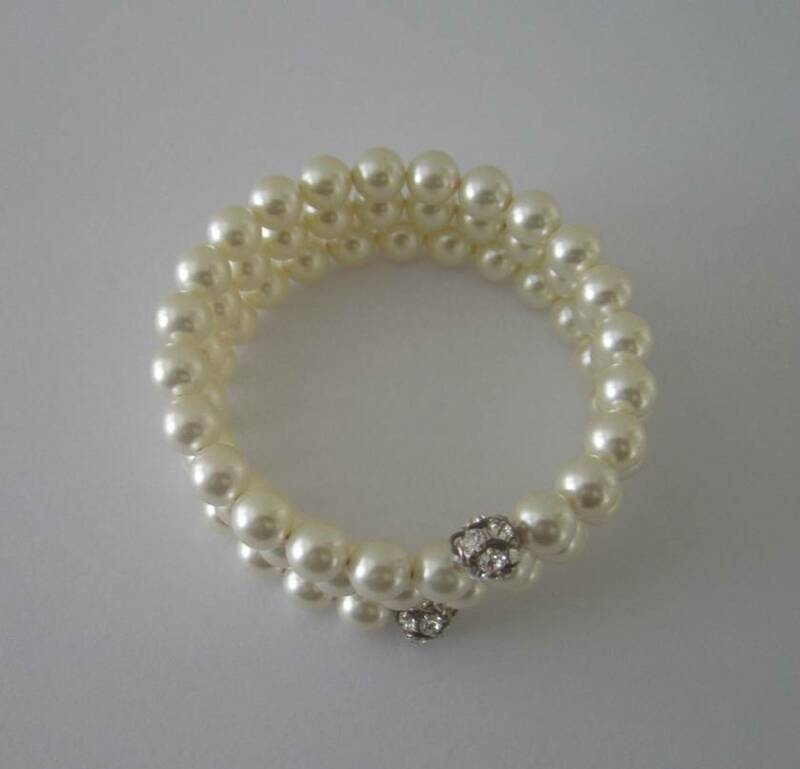 Beads are threaded on memory wire which slips easily onto the wrist and is comfortable to wear. No fiddly clasps to contend with.